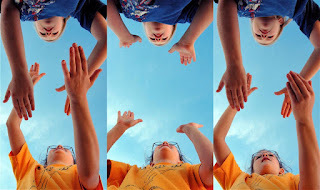 When students use their bodies in the learning process, it can have a big effect, even if it seems silly or unconnected to the goal at hand. Researchers found that when students use their bodies while doing mathematical storytelling (like with word problems, for example), it changes the way they think about math. Scholarly study goes back a long time in history, but in terms of human evolution, many of the academic skills now required for successful functioning in the world are fairly new to the human brain. As neuroscientists investigate how humans learn, they often find that newer skills and aptitudes are mapped onto areas of the brain that also control basic body functions. Increasingly, this work is helping to illuminate neurological connections between the human body, its environment and the process of learning. “A very strong predictor of academic achievement was how early kids were moving, exploring their world,” Beilock said. “When kids can explore their surroundings, all of a sudden, things change.” Once kids are on the move the adults in their lives use directives and other more complicated language forms. As kids are coached by their parents, they begin to understand the directions and change behaviors. And once a child can do something on her own, she’s more likely to internalize what’s happening with others. As young children move and explore their worlds, they are learning through touch. Early bimanual training correlates with the robustness of the corpus callosum, a part of the brain that facilitates quick communication between the left and right brain hemispheres, Beilock said. This connection between using ones hands and swift communication in the brain may be part of the reason learning to play music is often correlated with math ability. A colleague of Beilock’s at the University of Chicago, Susan Goldin-Meadow has done extensive research into how student gestures can indicate a more nuanced understanding of math than students are able to articulate verbally. Goldin-Meadow did a lot of work around problems of equivalence, which children often struggle to understand. She found that often students gesture in ways that indicate they understand how to solve the problem even if they are simultaneously describing an incorrect solution.